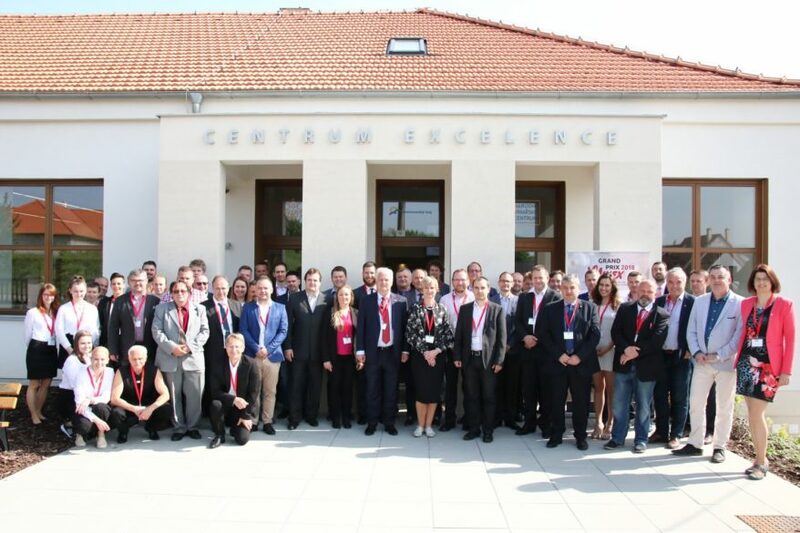 On 3rd and 4th May 2018 the specialist judging of the 25th year of the international wine competition GRAND PRIX VINEX took place at the newly reconstructed building of the Excelence Center in Valtice. This evaluation by leading world wine tasters delivered a Champion, category winners and a raft of other awards for these exceptional wines. inot Blanc 2015 selection of grapes by CHÂTEAU VALTICE – Vinné sklepy Valtice winery was awarded the title Champion of 25th year of GRAND PRIX VINEX. Gold and silver medals were awarded in accordance with the number of points attained by the best wines, while 27 of the wines even won grand gold medals. The public will have the opportunity to sample not only these prize-winning wines at the Brno Trade Fair Exhibition on 26th and 27th May 2018. • Winner of category C1 (Other red wines) – Nottage Hill Merlot, 2016, Hardys (Australia), imported by Adveal s.r.o. The excellent quality of the wines is also evidenced by the number of grand gold medals awarded, which won 27 winesThe complete official competition results, including all the medals and other prizes awarded (e.g. the national winners for the highest-rated wines from individual countries, the best awarded collection etc.) will be published in the official competition catalogue which will be available on the day of the public presentation of the best competition wines that takes place on 26th and 27th May 2018 in pavillion B at the Brno Exhibition Centre along with the international sales exhibition by Minerals Brno. The competition attracted record 710 wines coming from 123 wine producers from 13 wine-producing countries. Naturally the largest number of wines came from the Czech Republic, there were also representatives from Hungary, Slovakia, Germany, Austria, Israel and other even further countries. Wines were evaluated by international committees composed of the most renowned tasters. The wine judging was undertaken with the use of the ELWIS computer system especially developed by the National Wine Centre for the purpose of wine evaluation. In addition to tasters from the Czech Republic took part in juries wine tasters from Austria, Slovakia, Hungary and Australia. 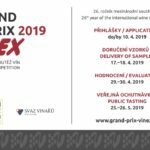 GRAND PRIX VINEX is a prestigious international wine competition whose aim is to assess wines at the highest professional level and to award the best European and world wines that have a presence on the central-European markets. The 2018 edition was the 25th. The contest is organised by the National Wine Centre in conjunction with the BVV Traid Fairs Brno and the Czech Grape and Wine Producers Association. The competition came under the auspices of Regional county president of the South Moravian region, JUDr. Bohumil Šimek, and the Mayor of the City of Brno, Ing. Petr Vokřál. The organisation of the competition was supported by the Wine Fund of the Czech Republic and the competition partners: THERMOTECHNIKA BOHEMIA s.r.o., BS vinařské potřeby s.r.o., KÄRCHER spol. s r. o., STILLUS s.r.o. and Carlsbad Mineral Water – Karlovarské minerální vody, a.s. (Aquila). Media partners are SOMMELIER – Revue pro hotel a restaurant, Wine & Degustation, Vinařský obzor, Listy jižní Moravy, BRNO Business and Rádio Čas. Wines in the competition underwent the strictest appraisal ensuring only the very best could receive medals. Only silver, gold and grand gold medals are awarded whilst, concurrently, the number of points required to gain an award is set somewhat higher than at the majority of domestic events thus corresponding to international practice – silver medal minimum 84 points, gold medal minimum 87 points, grand gold medal minimum 90 points. This is a guarantee of the prestige in receiving a medal. The competition’s principal awards are “Champion”, followed by the winners in the individual categories, the highest marked collection of wines and the national winners by countries that have entered a minimum of 10 wines. The producers of these wines receive a prestigious trophies in the form of a crystal-glass sculptures designed by world-famous artist Bořek Šípek and glass carafes with glasses while, in addition, the Champion receives a temperature-controlled wine cabinet from the competition’s partner, the company THERMOTECHNIKA BOHEMIA. 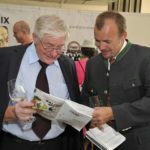 A high-pressure cleaner from another partner, the KÄRCHER company, will be handed over to the best assessed wine collection. 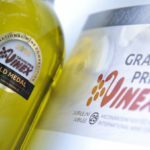 Wines from the international wine competition GRAND PRIX VINEX 2018 will be presented to the general public on 26th and 27th May 2018 in pavillion B at the Brno Trade Fair Exhibition as a part of the international sales exhibition Minerals Brno. All wines in receipt of a minimum of 83 points will be available for tasting. The official announcement of the results as well as handing out of the main awards will take place here. Saturday afternoon and the gala evening will be accompanied by dulcimer music and an entire weekend by presentations of food products. • Ing. Pavel Krška, director, Národní vinařské centrum, o.p.s. • Ing. Šárka Nádvorníková, project manager, Národní vinařské centrum, o.p.s.